The architect was moving from the West Coast to a new home on the far edge of Cape Cod. He was looking for something simple, elegant and distinctive for his kitchen and nearby rooms, but he didn’t know what that might be. A designer he had engaged for another part of the house suggested the kitchen design center at Botello Lumber in nearby Mashpee, Massachusetts. It became one of several design centers they decided to check. Botello Kitchen Designer Edan Dayan met them and showed them through the Botello display. But nothing really grabbed their interest until Edan pulled out an expired Grabill sample with a hand-rubbed gray-blue finish on alder. “They really liked the color and especially the hand-rubbed finish that Grabill does so well, except they preferred maple to alder,” said Edan. He asked Grabill to match the sample in maple and also provide a similar sample that had a lighter appearance, using more gray and less blue. Grabill did this and the client ended up liking the lighter gray-blue sample even better. By this time the architect had also become comfortable with Edan and Botello, and the project was on. As an architect, his client already had a vision for what he wanted and had down “the basic building blocks” for the kitchen, said Edan. The kitchen Edan created is what he calls a transitional look with a contemporary flair and Cape Cod-like colors. 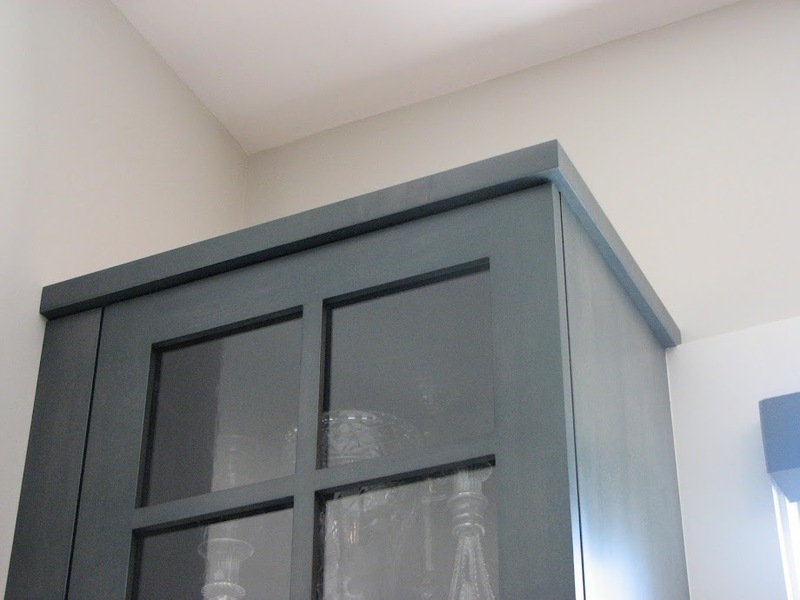 The cabinets are maple, with 2 ½-inch Wide Shaker Doors, and a hand-rubbed finish of custom bluish gray. The perimeter countertops are Laurentian Green Granite, with white quartzite island and hutch countertops to provide a standout accent. 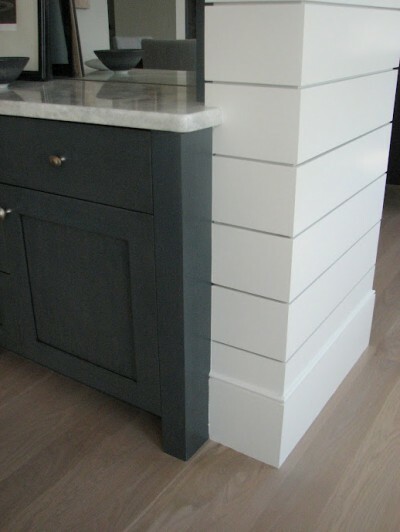 The client also provided an extra bit of challenge by wanting it all to look seamlessly simple, with appliances artfully integrated with the cabinetry; no exposed fasteners or joints; no holes for shelves or gaps between the shelf edge and cabinet — just clean, clear lines throughout. Trust Grabill with the details? You bet!